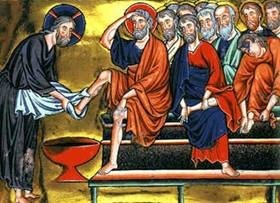 On the evening of Holy Thursday, Our Lord had with His Apostles what has come to be known as the “Last Supper Discourse” (Jn. 13:31 to 16:31). As the Passion of the Church unfolds before our eyes, it is useful for us to meditate on this discourse. At a time where the “ shepherd is struck and therefore the sheep are scattered” (Zach. 13:7), let us listen to Jesus’ instructions, so that we may go through this passion while remaining faithful. Saint Thomas Aquinas composed a very profound commentary on the Gospel of Saint John. Let us just summarize here what concerns Jesus’ words after the Last Supper. After an introduction (Jn. 13:31-38), in which Jesus states the purpose of the Passion (reestablish the glory of God by the perfect sacrifice of the Cross) and the conditions for staying united (charity and humility), He comforts His disciples with regard to the emotions which trouble them: the sadness caused by His leaving (ch. 14) and the fear of persecutions (ch. 15). The Paraclete will bring His “gift”: perfect knowledge of God; and Jesus will bring His: peace, a peace that can only come from Him. Then, Jesus fortifies His Apostles against the fear of persecutions, to which the Passion was only a prelude. He starts with the beautiful “allegory of the vine”: the branches, that is, the faithful as members of Christ’s Mystical Body, need to be purified through suffering in order to bear fruit: not only fruits of (personal) sanctity, but fruits of a productive apostolate. The conditions to bring about this purification and bearing of fruit are: to “keep His words” (Faith purifies the intelligence), prayer (for this work is supernatural), and above all, a love of Jesus proven by the practice of His commandments. Our Lord does not content Himself with speaking of His Mystical Body; He goes on to explain to His disciples the source of these persecutions: the world, ennemy of Our Lord. The world is united in its hatred, just as the Church is united by charity. The hatred of the world for Jesus’ friends is a reason for consolation: it makes them similar to their Master. In addition, sustained by the Holy Ghost, they will use it as an opportunity to witness to their Faith, even at the price of martyrdom, when necessary. Chapter 16 adds a few precisions. Regarding persecutions, the Apostles will have to suffer not only from the part of pagans, but also from the Jews, who will “put them out of the synagogues”, and will put them to death “thinking they are doing a service to God.” Regarding the (physical) absence of Jesus, the three Divine Persons will intervene to console the faithful: the Holy Ghost will convince the world of its sin, Jesus will bring perfect (interior) joy, and the Father will from then on listen favorably to all prayers said in the name of Jesus, by those who love Jesus. In the present passion of the Church, we must first be convinced that God has allowed it only to bring about a greater good (without doubt, the Triumph of the Immaculate Heart of Mary promised at Fatima). We must also do all we can to abide in charity and humility, which are the indispensable conditions to receive the help guaranteed by Our Lord. 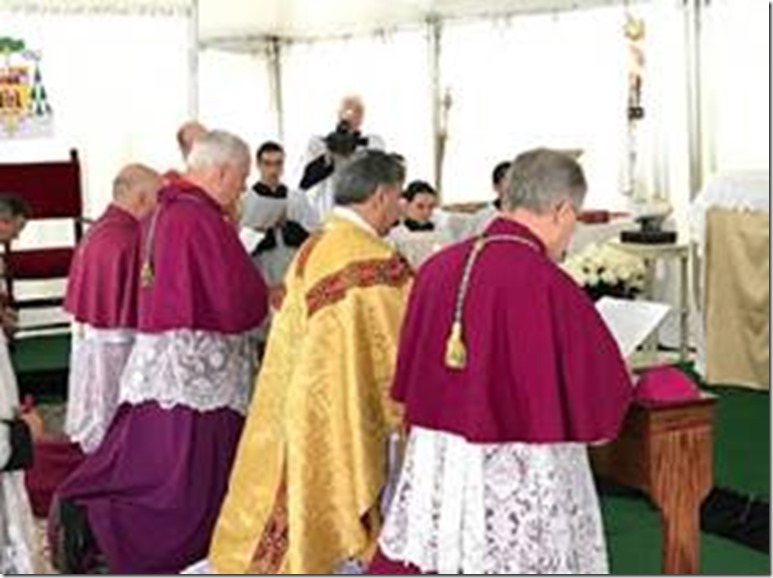 Because of the crisis in the Church, we no longer benefit from the habitual spiritual aids of times past, in particular the facility to go to Mass and receive the sacraments. We must therefore try by other means to develop our interior life, the life of union with the three Divine Persons present in every soul in the state of grace. 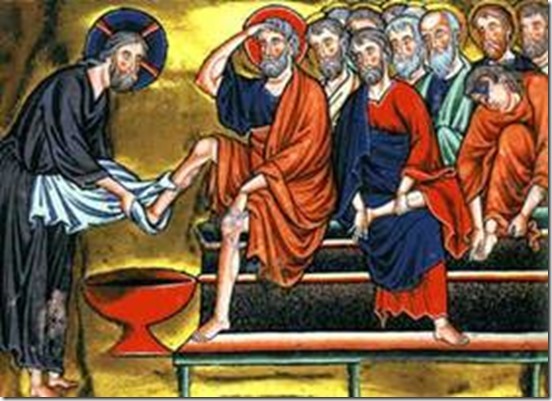 With regard to persecutions, seeing as Jesus warned His Apostles that they would have to suffer from the part of the Jews (something which was particularly painful for them), let us not be surprised if we must suffer at the hands of members of the Church, subject since Vatican II to the influence of the world, that is, the anti-church (Freemasonry, communism, anti-Christian globalism, etc.). One of the most powerful means the world uses today to kill the divine life in souls, is internet. 90% of youth consult pornographic websites. Regardless of the question of impurity, screens are anti-contemplative, because they captivate the senses and inhibit the noblest operations of the mind: judgment and contemplation. The remedy? : meditative reading. December 25th: Christmas. With the help of the seminarians of St. Louis-Marie Grignion de Montfort Seminary, we are able to sing the three different Masses of Christmas. January 15th: This year being the 500th anniversary of the revolt of Martin Luther, presented as a hero by the conciliar church, the Friary begins a series of sermons on the Council of Trent, “the most beautiful and precise synthesis of Christian doctrine in opposition to the errors of Protestantism” (Fr. Jean-Baptiste AUBRY, Cours d’histoire ecclesiastique). March 7th: Feast of Saint Thomas Aquinas. 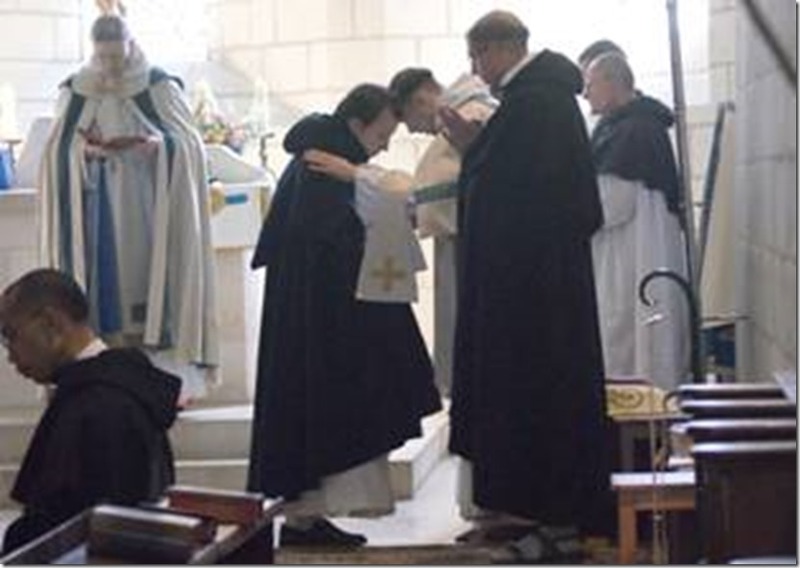 Bishop Faure celebrates a Pontifical High Mass, during which he confers the tonsure to four seminarians, the orders of porter and lector to Brothers Louis-Bertrand and Agostinho, and the orders of exorcist and acolyte to Brother Alain. Each new step is a deeper participation in the sovereign priesthood of Our Lord Jesus Christ. March 25th: The Annunciation. 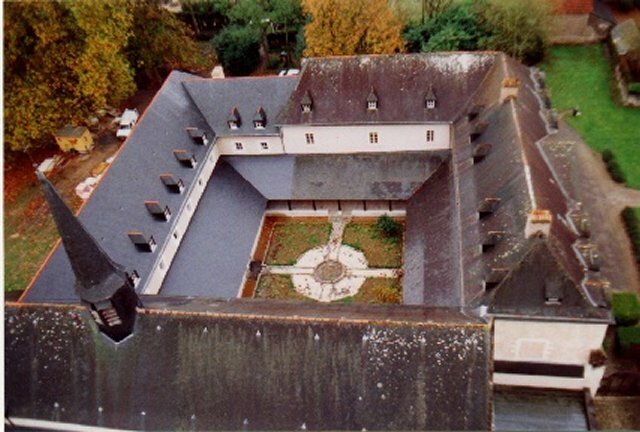 On this day when Our Lady clothed Our Lord with the “habit” of His humanity, our postulant Godefroy receives the religious habit and the name “Augustin-Marie”. The new Brother receives the kiss of peace. 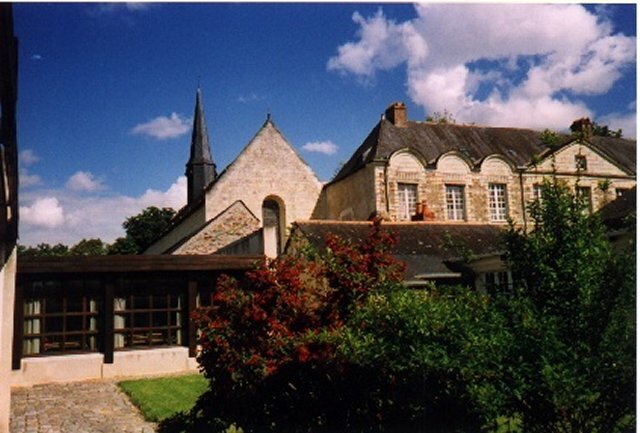 April 23rd: Father Marie-Dominique is at Saint Malo-du-Bois to represent the Friary for the habit-taking ceremony of Miss Collins (Ireland) in the Institute of the Sisters of Our Lady Co-Redemptrix. May 5th-8th: Father Angelico replaces Father Ballini in the south of Ireland for weekend Masses. A public 15-decade Rosary (prayed on every First Saturday in the streets of Cork) was attended by a fervent group of faithful, and accompanied by the distribution of Rosaries and booklets on the message of Fatima. A good initiative to imitate! May 11th: Father Angelico is in Vienna, Virginia, to represent the Friary at the episcopal consecration of His Excellency Bishop Gerardo Zendejas, and his first Pontifical High Mass the next day. The project of a new school/parish cafeteria is now officially under way. The architects have submitted the plans, but ground has not yet been broken. This new building will not only be used by the primary school and Boys’ High School, but also for a wide variety of parish activities: (conferences, parish library, sewing room…). The growing number of students and parishioners has rendered this project necessary due to government safety regulations. Meanwhile, the architects are still studying the restoration of the two “guard towers” at the Priory (the manor house where the Boys’ School is located). The buildings will be used for classrooms. These two ambitious projects would be out of the question, were it not for the generosity of our loyal benefactors. Please accept our heartfelt thanks for all your support in the past, and we thank you in advance for your continued help! ← Full communion with conciliar Rome?